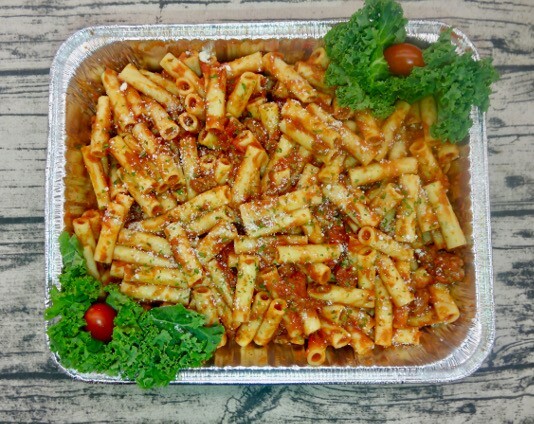 Ziti mix with a meat sauce and sprinkled with fresh parmesan cheese. 5 lb. Serves 8 to 10 .